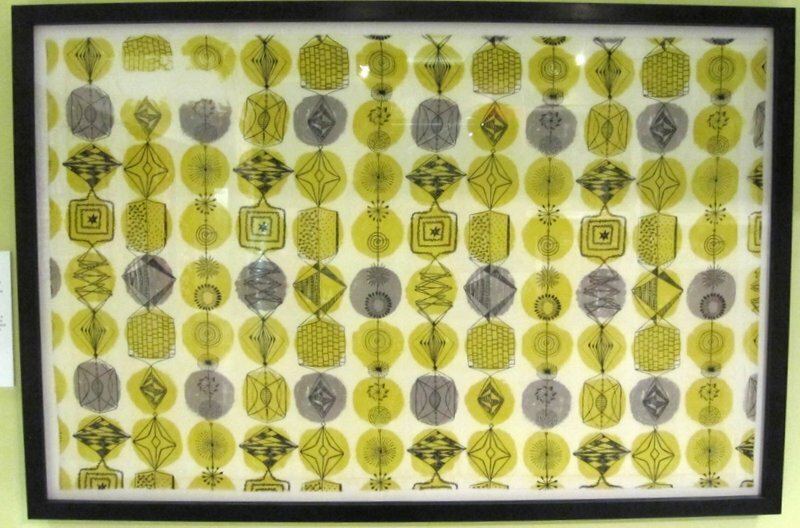 No, it’s not baby brain finally taking over completely, it’s my favourite textile design from an exhibition I saw a few days ago at the Fashion & Textile Museum, London. 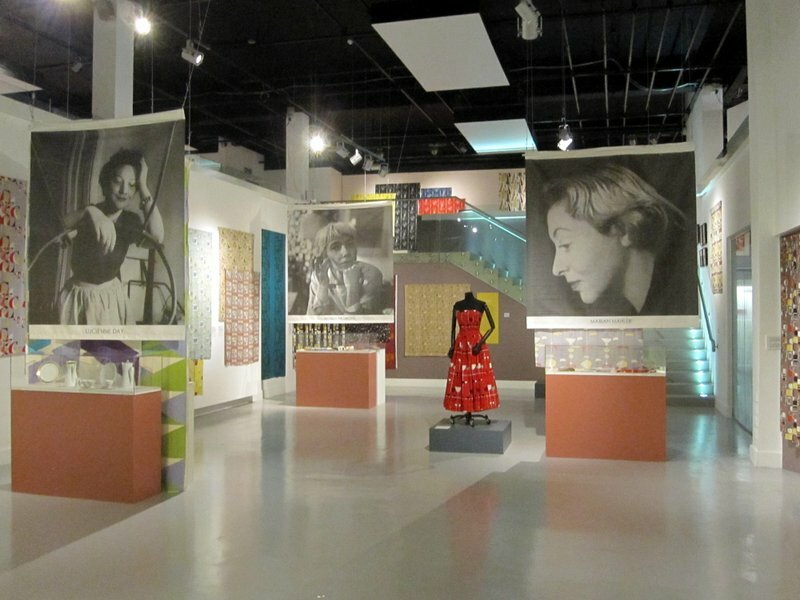 Called Designing Women: Postwar British Textiles, the exhibition shows the work of British textile artists working after the Second World War, and how they radically changed the industry with their modern designs. 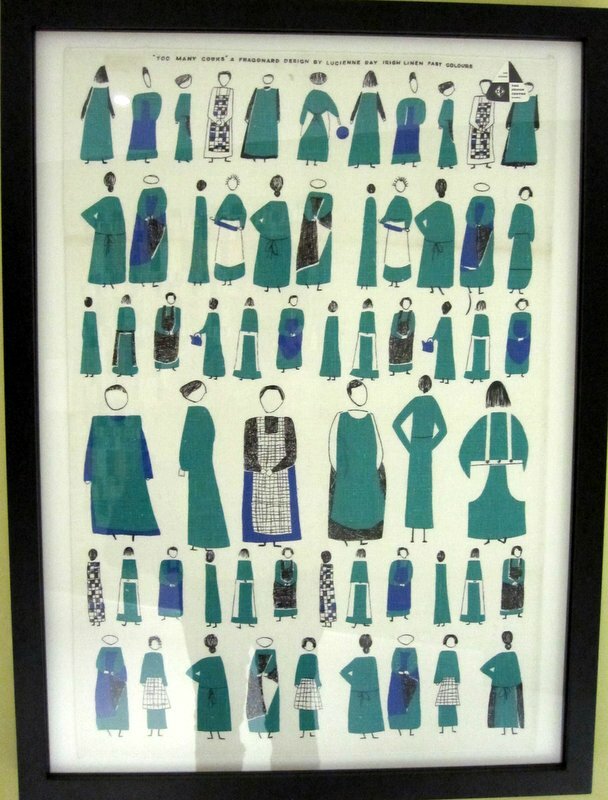 The exhibition mainly focuses on three women: Lucienne Day, Jacqueline Groag and Marian Mahler. 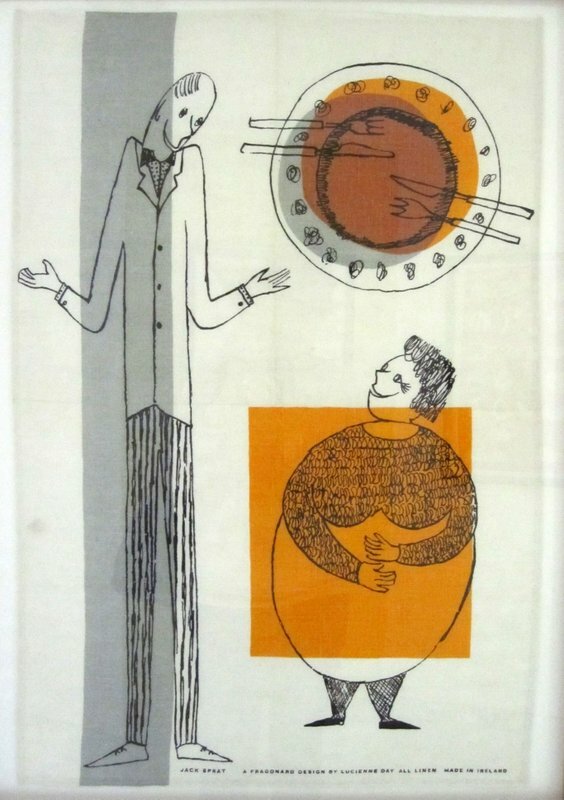 Ever since finding out about Robin and Lucienne Day at Uni and then learning more on my Masters, I have admired their work for its influence and simplicity, its use of innovative materials, and the fact that they seemed an awfully glamorous couple! 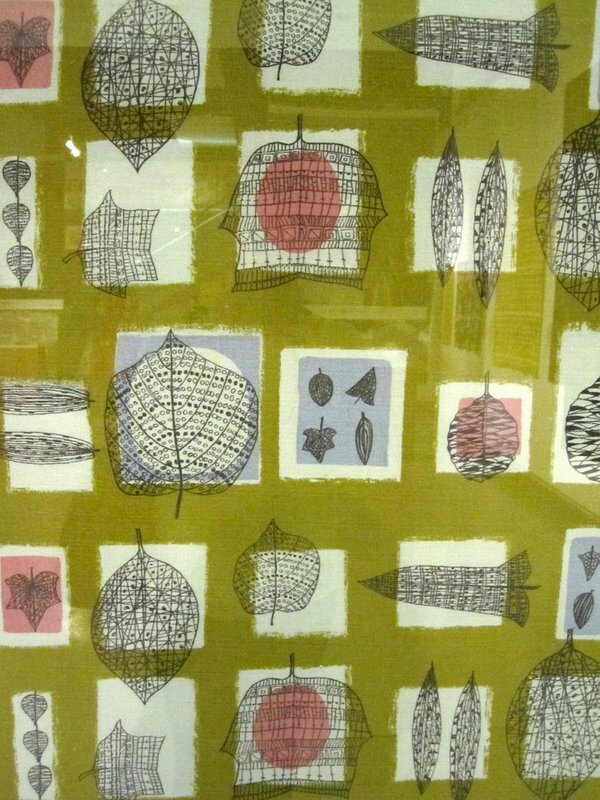 So this exhibition was a good chance to see a large selection of Lucienne Day’s textiles in one place. Here are some of my favourites from the exhibition. Considering these were mainly done in the 1950s, I think they’re still remarkably modern. I’d definitely have them in my home! Calyx was Day’s most popular design, and launched at the 1951 Festival of Britain. It was manufactured by Heal Fabrics, who initially were skeptical of the avant garde design. However, after winning awards and international acclaim they soon embraced this new modern style. 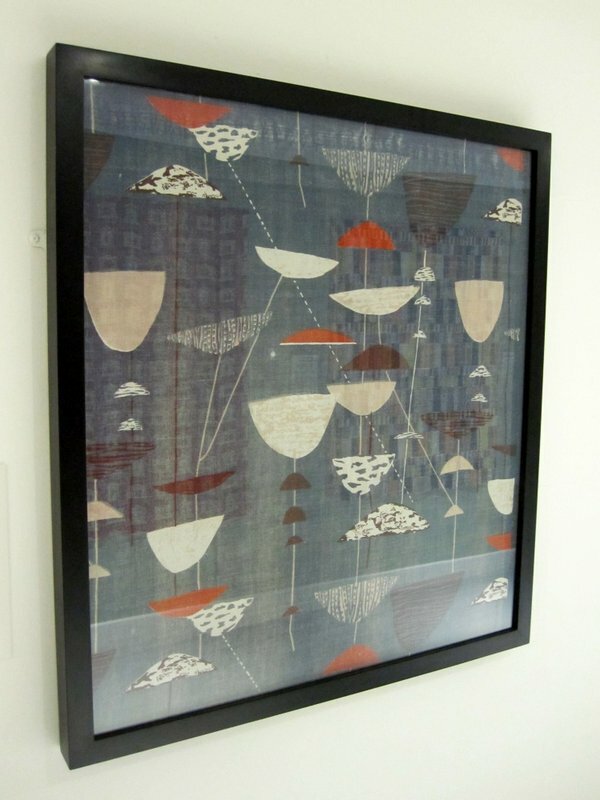 The textile design above is by Paule Vézelay, who I had not heard of before. Her designs however were some of my favourites in the exhibition, I love the bold colours, and the shapes are far less fussy than some work done by the other designers. Nice and simple! The exhibition is on until 16 June if you fancy it, and a full price ticket is £7. While the textiles are undoubtedly nice to look at, there is quite limited information and interpretation so I did leave a bit disappointed, and felt like I didn’t really find out too much about the period or the designers themselves. 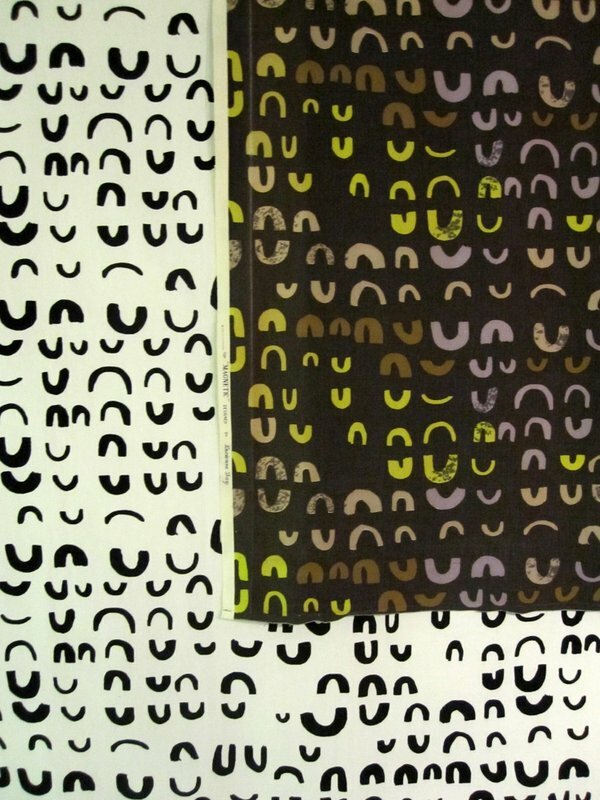 For that you should go and see the monster British Design exhibition on at the V&A at the moment! 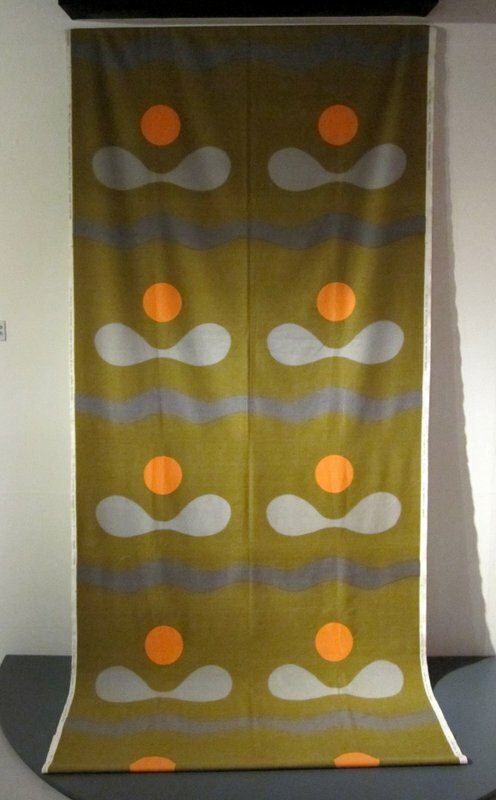 This entry was posted in Bits & Pieces and tagged Designing Women, Designing Women: Postwar British Textiles, exhibition, Fashion and Textile Museum, Lucienne Day, Paule Vézelay, Robin and Lucienne Day by peggyspickles. Bookmark the permalink. I was reading about this last night and really want to go and see it!